Germans like to think of themselves as the most environmentally friendly people on earth. They see their sophisticated recycling programs, their love of forests and, most recently, the country’s drive to replace both nuclear and coal-fired power production with renewable sources — the so-called Energiewende, or “energy turn” — as evidence of their strong environmental consciousness, especially compared to top polluters like the United States and China. But the green self-image of Europe’s largest economy and most populous country doesn’t square with another important aspect of Germany’s national identity: its longstanding love affair with fast, gas-guzzling automobiles produced by the country’s iconic carmakers — BMW, Mercedes-Benz and Volkswagen. Now, with new studies showing that Germany may well miss its 2020 CO2 emissions-reduction targets, and with the nation’s automakers rocked by scandals over falsifying emissions data, Germans are beginning to question the sustainability of their automobile culture. The challenge is huge: “To reach our national goal for CO2 reduction for the transport sector, half of the people who now use their cars alone would have to switch to bicycles, public transport, or ride-sharing,” says Heinrich Strößenreuther, a Berlin-based consultant for mobility strategies. 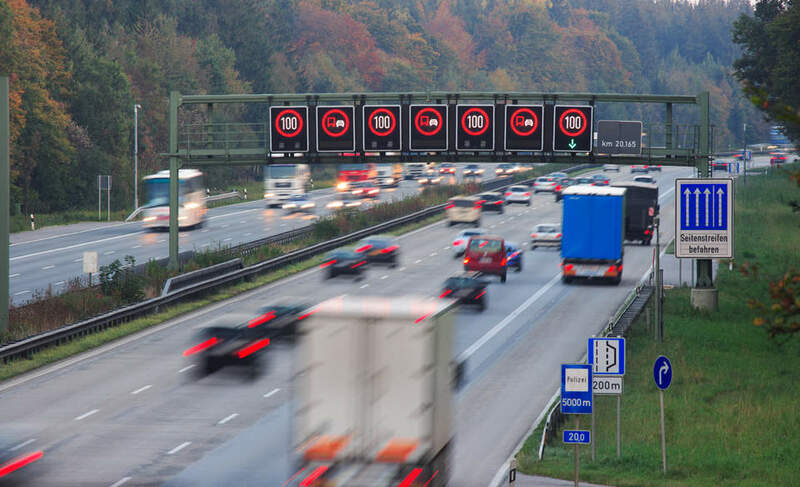 Germany’s transportation sector is the nation’s second-largest source of greenhouse gas emissions, producing 166 million tons of CO2 in 2016, or one-fifth the nation’s total CO2 emissions. A government memo leaked last month showed that despite the construction of thousands of wind turbines and solar power plants, CO2 emissions have been cut 27.6 percent below 1990 levels — well below the promised national target of 40 percent by 2020. Currently, two trial runs are underway. In Duisburg, an industrial city in the Ruhr valley, citizens can book a trip with the communal public transport provider, DVG, through an app developed by door2door. Since its foundation in the mid-19th century, DVG has offered only fixed bus and tram lines to its customers. But now when a passenger books a trip, a brand new mini-bus with five passenger seats and a luxurious feel to it arrives within minutes, just like a taxi. When using the app, customers get a full overview of all transport options and their costs. Last month, a much bigger player entered this field: Deutsche Bahn, Germany’s largest rail operator. In addition to its many regional and high-speed trains and buses, which transport 12 million people per day, the company has built up a network of rental cars and rental bicycles in recent years that can be picked up and returned at train stations and other fixed locations. Now, Deutsche Bahn wants to launch a much deeper innovation: a project called “ioki” that will combine driverless cars, on-demand services, and electric vehicles into a new mode of traveling.